Oberhausen, July 15th, 2015 – ACCESS CO., LTD., a global provider of advanced software technologies to the automotive, mobile, Internet of Things (IoT) and digital TV markets, today announced that its software solutions optimized for In-Vehicle Infotainment (IVI) now support core features of the W3C Vehicle APIs to offer better control of car connectivity, receive more actionable data to help IVI platform manufacturers and OEMs improve services around the car, as well as enabling the remote control of car applications and the integration of Bring Your Own Device (BYOD) strategies for in-car multimedia entertainment. The rise of connectivity in the car enhanced with ACCESS’ software solutions for content delivery and presentation opens new opportunities for OEMs to realize the latest smart functionalities for their customers. “Car manufacturers can collect and process driver data in order to have a much closer relationship with their customers and to launch innovative new monetizable services, such as tailored CRM and marketing campaigns. Our solutions are designed to simplify the capture and reporting of data, enabling manufacturers to take part in the ‘big data’ revolution,” concluded Foster. The ACCESS solutions for Automotive combine best in class support for international and local media standards such as HTML5 and DLNA media sharing, enabling automotive manufacturers and the supply chain to provide global robust and flexible solutions for IVI. The ACCESS solutions can be easily integrated into any IVI platform to allow passengers to use their own devices or fixed in-car systems for infotainment and enable the car to interact with the connected home while providing auto vendors with the control needed to offer a powerful, flexible and secure in-car experience. NetFront™ Browser NX Automotive Profile v2.0: Built on the WebKit browser engine, this award-winning HTML5 browser features high stability on embedded platforms and has been optimized for the in-car environment. Supporting global media and automotive standards, NetFront Browser NX Automotive Profile v2.0 is an ideal solution for auto manufacturers and supply-chain vendors looking to enable consumer pleasing infotainment services and solutions. NetFront™ Living Connect: a market-leading DLNA Technology Component™ solution that enables the auto industry to support media sharing so that drivers and passengers can use their own devices (BYOD) or use fixed in-car solutions. ACCESS Twine™: a full end-to-end multiscreen solution that is optimized for the in-car environment. It enables premium IVI services including content sharing and multiscreen services and allows auto vendors to provide interactivity between the car and the home network. Features include support for cloud-based data collection and media delivery. It supports industry standards such as DLNA, Genivi and HTML5 and is built on cloud principles for efficient and scalable data management. An advocate for open In-Vehicle Infotainment systems, ACCESS is a member of GENIVI. 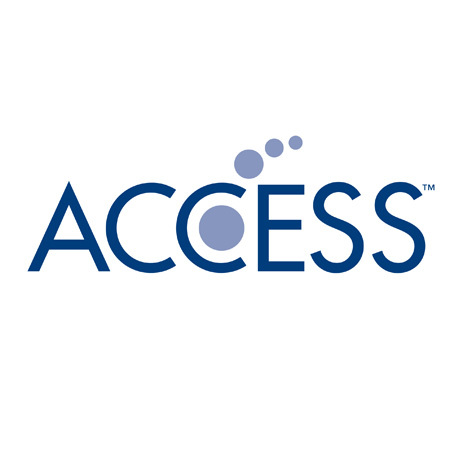 ACCESS technology can be found in products from the following manufacturers and Tier 1s: Daimler AG, Alpine, Hirschmann Car Communication, Mitsubishi Electric and Panasonic Corporation, Automotive & Industrial Systems Company.